Why Were Blood Sacrifices Required? --- Rambam (aka Maimonides) suggests that one reason for the animal offerings was to wean the People of Israel away from the pagan worship of animals. He explains that the ancient Egyptians and others viewed animals as "herds of deities;" thus, the People of Israel were commanded to take the very animals the Egyptians worshiped and offer them to HaShem (Guide to the Perplexed 3:46, cited in the commentary of the Ramban -- i.e. Nachmanides -- on Leviticus 1:9). -- In the Mishneh Torah (Hilchos Beis HaBechinrah 2:2), citing the ancient tradition that Adam, Cain, and Abel all brought offerings to the site of the then and now future Holy Temple. Although they had a vegetarian diet, Adam and Abel brought animal offerings to HaShem. According to the Talmud, the animal sacrifice made by Adam was an ox (Avodah Zarah 8:a). The Torah states that Abel "brought from the firstlings of his flock and from the choicest" (Genesis 4:4). These individuals lived in the age before the pagan worship of animals emerged; thus (Rambam concludes) one cannot say that the reason for their offerings was to wean themselves from the pagan worship of animals! He seems to have changed his mind, or was perhaps re-examining the subject from a different perspective. --- Rambam also writes in the Mishneh Torah that in the Olam Haba or messianic age, once the Temple has been rebuilt, we will once again bring the offerings "according to all the particulars mentioned in the Torah" (Hilchos Melachim 11:1) which will include the animal sacrifices. During the messianic age all forms of idolatry will be abolished because everyone will be united in service to the One Creator. The reason for the Temple offerings in our present age cannot therefore be because of a need to wean people from pagan practices, because in the Olam Habah they will resume even though "the earth will be filled with the knowledge of the Lord" (Isaiah 11:9). ---- The Jewish philosopher Isaac ben Judah Abrabanel (1437-1508) disagrees with Rambam here. He cites a Midrash indicating that the Jews had become accustomed to sacrifices in Egypt. In order to feel they were appeasing the Creator they believed they needed to make blood sacrifices. To wean them from these idolatrous practices (whether the sacrifices were as god-animals or merely as animal sacrifices is not specified in his comments), God "tolerated" the sacrifices but commanded that they be offered in one central sanctuary. Obviously intending that one day the people would discard the rites. ---Rabbi J. H. Hertz, the late chief rabbi of England, explains this last point, saying that if Moses had not instituted the kind of sacrifices they were used to, which were admitted by all to have been the universal expression of religious observance, his mission would have failed and Judaism would have disappeared. With the destruction of the Temple, the rabbis began teaching the people that prayer and good deeds took the place of sacrifice. This was already understood by many Jews but after 70 CE it became the established Jewish understanding. -- Rav Kook also differs from Rambam on this point and taught that in the Olam Haba human conduct will have improved to such a degree that animal sacrifices will no longer be necessary to atone for sins. Implicit in this is that there was a consciousness connection to the ancient sacrifice supporting the idea of weening the people away from idolatry. There will only be non-animal sacrifices to express thanks to God in the Olam Haba according to Rav Kook and many other respected authorities. It is informative that non-biblical sacrifices sometimes included human sacrifices, which is why (or least one of the reasons why) HaShem ordered Avraham to sacrifice his son Isaac. When the angel stayed his hand both father and son, who were willing to comply with whatever HaShem required, understood that HaShem will not accept those types of sacrifices. This truth was passed down through Isaac, Jacob and their descendents, the Jewish people and human sacrifice was forbidden as an abomination. Arguably the sacrifice of animals took more time to stop because they were more universally practiced and most people were not as spiritually attuned as Avraham and Isaac. Once the Temple was destroyed in 70 CE all sacrifices ceased. 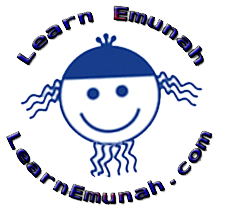 Since then Jews rely Torah study and observance and acts of kindness and these must be rooted firmly in emunah (active faith) that HaShem accepts the sacrifices of Torah study and praise. So, I think we can confidently conclude that HaShem required animal sacrifices (i.e. that they were not optional, according to my reading of the Torah) for our spiritual and cultural development, with the intention of elevating the human consciousness to the point that we could conceive of redemption as the intentional attaching of ourselves to HaShem, with emuna (active faith) and kavanah (intention), through the deeper realizations revealed through Torah study and observance. Exactly how and why blood sacrifices were chosen by HaShem (and MAY be again once the Temple is rebuilt according to the Rambam and others) is unclear, but seems to be directly related to the human (and Pagan) invention of animal sacrifice. By 70 CE the people had been "weened" off of these rites. I agree with what I think is the majority opinion of the sages that in the Olam Haba, once the Temple is rebuilt, only thanksgiving (grain) offerings will be made. Time will tell. Micah 6:6 With what shall I come before the Lord, bow before the Most High God? Shall I come before Him with burnt offerings, with yearling calves? 6:7 Will the Lord be pleased with thousands of rams, with myriad streams of oil? Shall I give my firstborn for my transgression, the fruit of my body for the sin of my soul? 6:8 He has told you, O man, what is good, and what the Lord demands of you; but to do justice, to love loving-kindness, and to walk discreetly with your God.